Home / Football / Philippines / Welcome Kuwait into Istanbul, Not Manila! Welcome Kuwait into Istanbul, Not Manila! Those among you who have read my earlier post saying that Kuwait is beatable will probably be wanting to know how I feel after the Philippines was comprehensibly beaten 3-nil in the first leg match. I have not changed my mind. 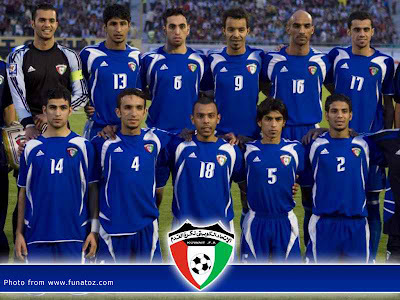 Kuwait was beatable; and the scoreline flattered the host team. It is so easy to allow annoyance to make one lose perspective of this tie. However, I have been in football for much longer than many and I am not about to allow myself to forget that, just in the last decade, we were at the receiving end of a humiliating 1-13 hiding from our neighbour Indonesia in what used to be known as the Tiger Cup. This morning, we all find ourselves down by three goals in a tie that is only half done. There is still the return leg. It is a mountain to climb, doubtless; but this is also football. Reputations are regularly shredded; predictions are rubbished; and, indeed, miracles do happen. I, of all people, should know. 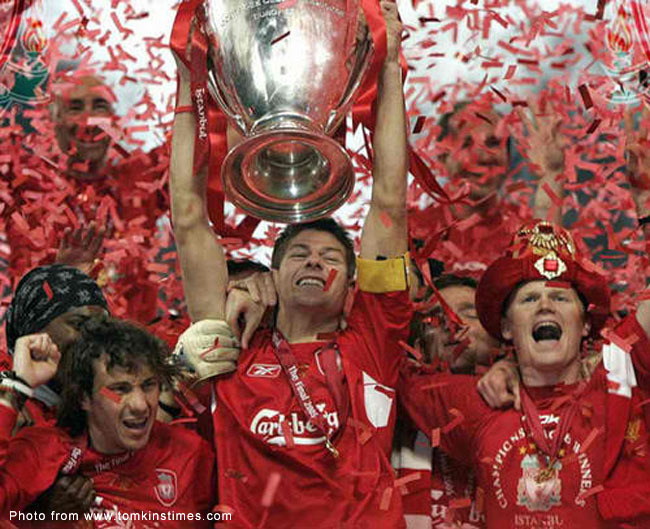 A life-long Liverpool fan and having stayed up for a Champions League final between my club and hot favourite AC Milan in 2005, I was staring at a half-time 3-nil scoreline in favour of Milan and was seriously contemplating the option of retiring to the warm comforts of my bed. 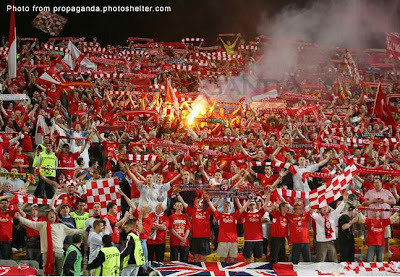 Then, in 16 unbelievable second half minutes, the Miracle of Istanbul unfolded before my eyes. Liverpool scored three quick goals and went on to lift the European Cup by way of a penalty shootout. Was I ever glad I had not gone to sleep! Now read this: we do not even have to score four in Manila. Just three! Even pundits were saying as Liverpool progressed to the final in 2005 that there was something almost preordained about the way the club did it. 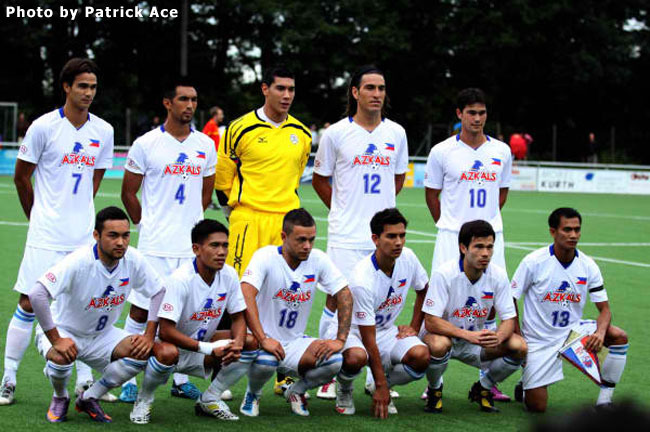 Have you not had the same feeling all this time about the Azkals? This is football. Miracles do happen! In Istanbul, the miracle was triggered at half-time by the travelling faithful singing, at the top of their lungs, the anthemic “You’ll Never Walk Alone” as a profession of unwavering belief in the face of adversity. The singing was started by a pocket of supporters, picked up quickly by everyone in red and was soon in a crescendo that was reverberating around the stadium and into the dugout to give heart to the men in red who were shell-shocked by Milan’s first half performance. In Kuwait, we were not overwhelmed. That is significant. Gone are the days when we lined up against Middle Eastern teams expecting a double figure whipping. That said, we face a steep uphill now because we were unlucky and not just a tad naïve. The Kuwaitis were up 1-nil at the break. By my reckoning, with a bit more luck, the score could easily have been 2-1 in our favour instead. In the 12th minute, Jason de Jong and Phil Younghusband were put through in a mesmerizing two-against-two against the Kuwaiti defence. De Jong chose to thread the ball back to Younghusband and the chance was stifled. I thought de Jong still had enough of an angle to have taken on his defender one-on-one and then have a whack at goal. Younghusband was well-positioned for a possible rebound. 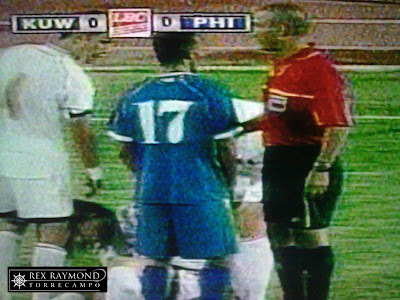 In the 15th minute, Younghusband was sent through for a one-on-one with the Kuwaiti goalkeeper. Younghusband looked suspiciously offside but it did not matter, anyway. The ‘keeper spread himself and saved with his legs. The talent of Younghusband was never more evident than last night when he was playing upfront by his lonesome. That said, he really needs to find a club and play league football regularly. 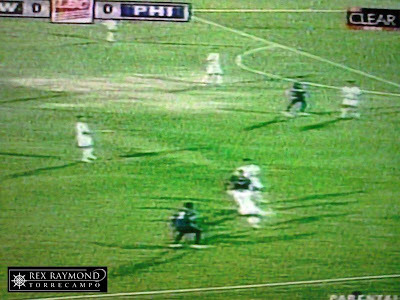 A match fit striker would have chipped the Kuwaiti goalkeeper in a situation that made scoring really so much easier than missing. From the resulting corner, Angel Guirado hit the crossbar with a crisp header. An inch lower and we would all have been celebrating an opening goal. Breaking out of defence quickly from that play, the Kuwaitis were the ones who broke the ice, instead. Between them, Ray Jónsson and de Jong could not prevent a cross from the right wing; and Jason Sabio was beaten to the header. The excellent Neil Etheridge had absolutely no chance. The Kuwaitis increased their lead in the 67th minute after a scramble in front of goal that ensued from a corner. Am I the only one who thought the ball was prodded into the net by a Kuwaiti hand? Even the replays were not clear; but my Filipino eyes saw handball! In the 84th minute, Kuwait put some gloss on what had been an unconvincing night with a goal that came off a bad pass by James Younghusband. The ball was well-struck, and Etheridge again dove in vain; but the Filipino midfield was gaping wide open. 3-nil, then; but I thought all of the Kuwaiti goals were preventable. It is unfortunate that the World Cup is held only once every four years. We were undone by our own naïveté; and more matches at this level can only be of benefit to the entire team. I have written before that, the higher the level of international football, sometimes less is better than more. Nobody could have failed to notice that the Kuwaitis, in the first half, played at a pace that was almost languid. That was tactical savvy that we did not have but would have learned from, assuming that Michael Weiss sees fit to point it out. Meanwhile, although we were creating chances from it, I was actually being unnerved by all the running that our boys were doing to support our counter-attacks in the first half. One cannot fault the boys for their passion and endeavour; but even robots would eventually melt in that 40°C Kuwaiti night. The Kuwaitis were playing at no more than a trot in the first half. 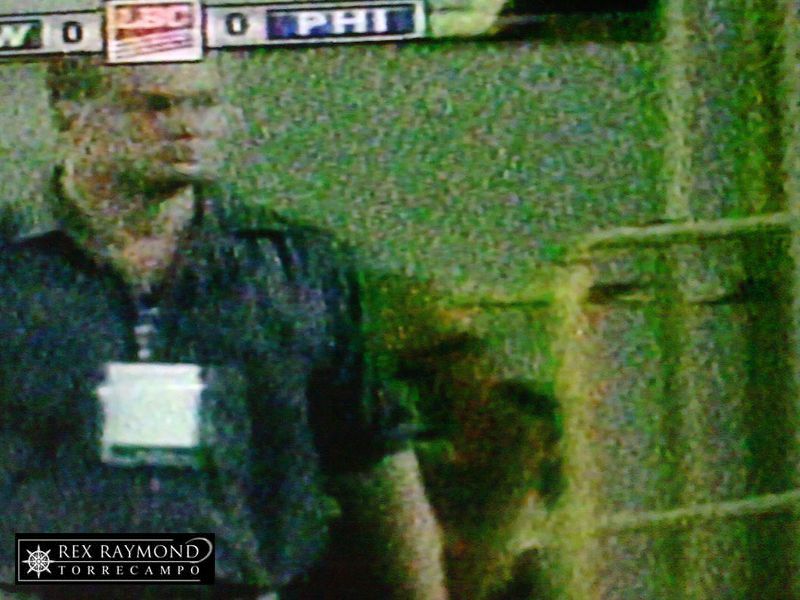 I honestly think we should have kept pace because there were 90 minutes to play in all and another 90 more still to come in Manila. As things were, the Kuwaitis stepped on the gas in the second half when – not coincidentally – our boys were starting to tire from all the gung-ho running in the first half. At 0-1, I was willing our boys to close shop and just kick the ball all the way to the Persian Gulf to conserve energy. We did not; and paid for it in the second half. If there are still doubters about the Pinoy-ness of our players, these should be well and truly laid to rest after this match. How many of us supposed pure-breds would have run in next-to-hell temperatures as much the boys did last night? Bravo! You were brave for the country, boys! A word about Emelio Caligdong: I did not previously think he had it in him to make it at this level. However, with every game he played in the build-up to this match, he had started to really look the part. Last night, the crosses could perhaps have been so much better; but overall, the Air Force man performed at a level that I had not seen in a home-bred player before. Hats off to the Chief! For most of the last couple of weeks, the Pacific had been free from messy weather systems and we were treated to almost a fortnight of relative sunshine Have you all not noticed that the LPAs have started arriving again, just when the Kuwaitis are due to visit? They struggled, during their Asian Cup qualification campaign, against Indonesia in a rain-soaked match at the Bung Karno.